If another movie came out about the Cullen family. If it revolved more around the Cullens and less about Edward and Bella. Would you watch it? Ok. If you say the movie Titanic and you know the song My Heart Will Go On, is it just me or does that song fit perfectly for Rosalie and Emmett??? I stalked over to my car, yanked the door open, and then slammed it shut, trying to release some of my anger. The second I was in inside, I let out the shriek of a lifetime, pounding my palms on the steering wheel and shaking my head back and forth with the force of my scream. “Come on, babe.” Emmett pleaded, trying to pull me by my wrist like the child he is. 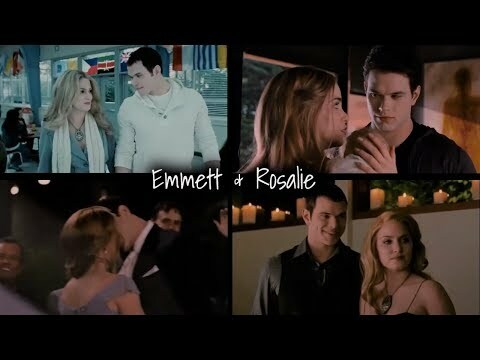 Emmett and Rosalie icon comp!